As the 2019 NFL Draft rapidly approaches, football fans have been bombarded with news and speculation of where approximately 230 current college students will be playing football next year. Will Kyler Murray go number one overall? Who will land top pass-rushers like Nick Bosa? Would D.K. Metcalf or Zion Williamson win in an arm-wrestling contest? While it would certainly be a surprise to see a Wesleyan Cardinal selected by the Arizona Cardinals, several members of the Red and Black’s football program can hang their hat on being drafted for a completely different team. This past Wednesday, the National Football Foundation (NFF) and College Hall of Fame jointly announced the roster of the 2019 NFF Hampshire Honor Society. 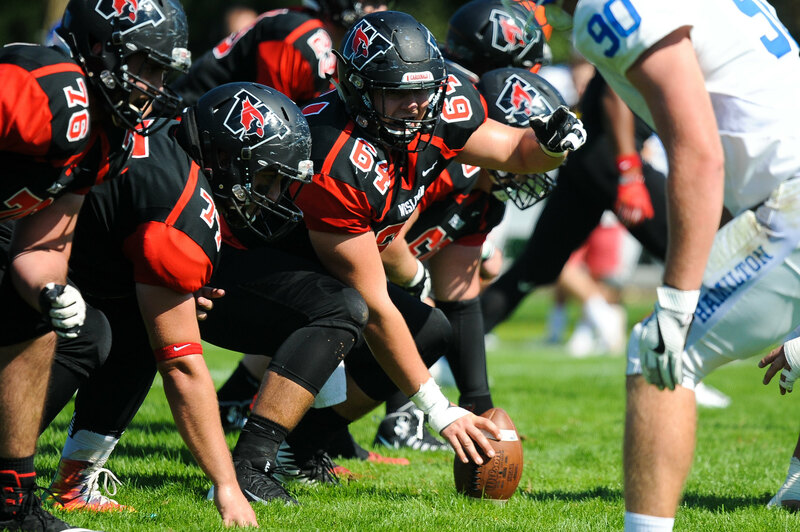 Among the selected were eight senior members of the Wesleyan football team: Zak Foster, Sam Green, Evan Hull, Jude Lindberg, Brandon Morris, Bobby Nevin, Terence Norton, and Joe Wilson. In the 13th year of the Hampshire Honor Society, the NFF set a record by inducting 1,643 football players from 424 schools across 4 divisions: DI FBS, DI FCS, DII, and DIII. The team consists of student-athletes who will lose their eligibility this spring, either by graduating or declaring for the NFL Draft. Students need to have been a starter or “significant contributor” with a cumulative GPA of 3.2 or higher to be named to the team. Unfortunately, it doesn’t seem likely that the NFF will be considering college sportswriters as “significant contributors” in the near future, so my time to make it onto this team may never come. For five of the above, the Hampshire Honor Society won’t be their first academic award this year: Foster, Green, Hull, Nevin, and Wilson were all already named to the NESCAC All-Academic team this fall. Wilson is a semifinalist for the William V. Campbell Trophy, which honors the best football student-athlete in the country, while Hull was recently named to the Wesleyan’s Gamma Chapter of Phi Beta Kappa this spring. As a fan of the work done by the NFF, Morris was excited to receive the honor. Proud of his academic accomplishments, Morris, an economics major and data analysis minor, believes his hard work has paid off both on the football field and for his next steps after college. After the news of his selection was broken to him by The Argus itself, Hull emphasized the time-management skills required to be named to such a group. In the future, Hull hopes to take his knowledge of macroeconomics into a career in finance or business, possibly in the sports sector. Furthermore, like any good football player, Hull watches a lot of film, but he has enjoyed expanding his viewing repertoire from the All-22 feed to early-20th-century German cinema. Speaking of the NFL draft, the eight get to share this team with a few notable names on Mel Kiper’s big board. A quick browse over the list reveals that Duke University QB Daniel Jones, University of Alabama OT Jonah Williams, and Vanderbilt University QB Kyle Shurmur (son of New York Giants Coach Pat Shurmur) are all among the honorees from DI-FBS. While they may not have suited up for the Combine this year, fans of the Red and Black can rest assured that these players would all ace their Wonderlic tests as well as their final exams. Drew Kushnir can be reached at dkushnir@wesleyan.edu.